The perfect gift when you don't know what else to buy for that special person in your life. 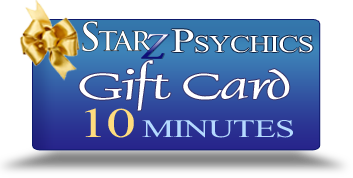 Give them a unique, fun, and interesting gift reading from Starz Psychics! Give the code to whoever you wish. Tell them to sign up for a free account at Starz and enter code on their account page to redeem.